Among the many rarities collected on Soundgarden's just-released Echo of Miles: Scattered Tracks Across the Path is a new tune called "Storm." With the collection now sitting in stores, the band have given an overcast video treatment to the gloomy, tempestuous tune. The track crack's into action with a steady beat, Kim Thayil's melding of post-punk guitar hooks and callus-building metal soloing, and a grim, monastic vocal melody from Chris Cornell. 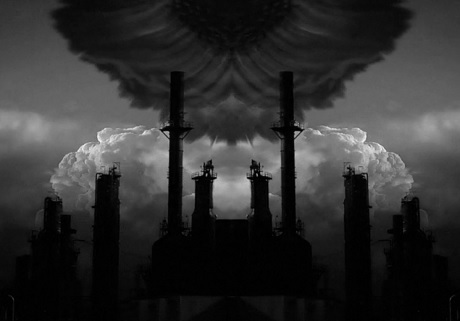 Following the theme of Echo of Miles' cover art, the video focuses on a series of greyed-out though psyche-challenging industrial landscapes. Down below, you'll find a panoply of inky Rorschach tests streaming over factories and fields.